Selwood’s expertise in solving complex problems while protecting the environment came to the fore when our pump hire specialists played a key role in saving a rare species of mussel. Ennerdale Water in the Lake District National Park is owned by United Utilities, which draws from it to supply water to 67,000 customers. The lake supplies the River Ehen, home to England’s largest freshwater pearl mussel population. When a period of dry weather hit water levels, urgent works were needed to increase the flow of water into the river. Working with the Environment Agency, Natural England and a specialist pontoon firm, Selwood developed an emergency solution to deliver 60 million litres of water a day into the river. 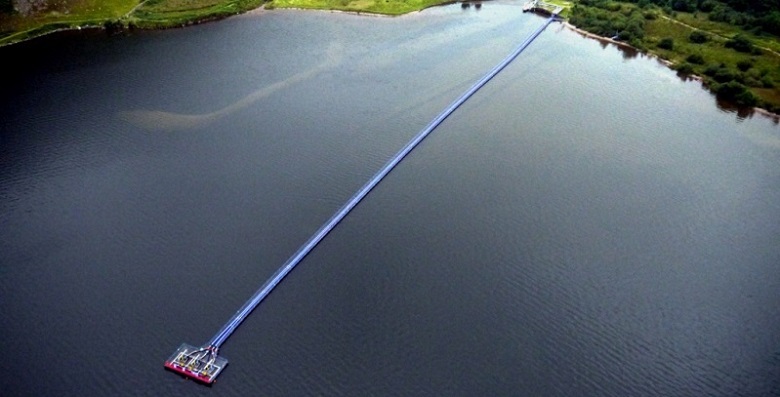 A pontoon was constructed in the middle of the lake, with three electric submersible pumps suspended from overhead gantries fitted to its head and connected to two 350mm discharge lines via a manifold and non-return valves. Careful measures were taken to avoid the pumps, fittings and 740 metres of plastic pipework contaminating the water, and bespoke fish guards were manufactured and installed to protect aquatic wildlife. The project’s ingenuity and execution in difficult circumstances were widely praised and resulted in a nomination for a Utility Industry Achievement Award. With the emergency averted, the pontoon has been dismantled and Selwood continues to support United Utilities with three Selwood D200 super silent pumps permanently on standby at Ennerdale ready to be used when needed.